How To Tame A Rake by Maggi Andersen-Book Video! I've just finished creating the book video for Maggi Andersen's Victorian Historical, How To Tame A Rake! Please watch the video below! New Book Video for the Print Anthology of Doorway to the Stars! I'd love for you all to watch the new book video I just made for the Print Anthology of Doorway to the Stars. The Print Anthology includes the novellas, Doorway to the Stars by Marly Mathews and Treaty of Hearts by Suzanne Embree. 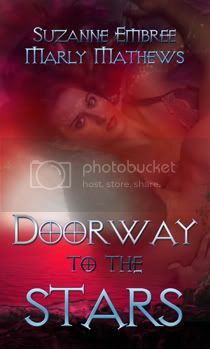 Doorway to the Stars now available in Print! I am pleased to announce that I am participating in a Valentine's Day Contest with some great fellow authors called I Need A Hero. You can find the information for the contest by clicking the link below.